Infragistics - NetAdvantage Ultimate, NetAdvantage for .NET, NetAdvantage for ASP.NET, NetAdvantage for Windows Forms Hong Kong/Asia Distributor, Reseller | Cogito Solutions Ltd.
Now you can get all 6 Infragistics UI control toolsets in one robust product—NetAdvantage® Ultimate! As the ultimate package of ASP.NET, Windows Forms, WPF and Silverlight controls for line of business applications, plus advanced WPF Data Visualization and Silverlight Data Visualization controls for building high-end business intelligence solutions. Every platform includes lightning-fast data grids for line of business with our superior performance, quality and architecture; plus OLAP pivot grids for data visualization and hundreds more UI controls leading to infinite possibilities. We also make it easy for you to create applications—on any platform—having the same look and feel as Microsoft®'s latest business productivity software suite, Office® 2010, positively impacting productivity and ease of use across all of your applications. Explore all of the Tools and Platforms in NetAdvantage Ultimate! Build Web 2.0 Applications with AJAX and More. Create Modern Smart Client and CAB User Interfaces. Craft Tomorrow's User Interface Today. Deliver RIAs Relevant to Your Line of Business. Create Next Generation Business Intelligence. Inspiring Experiences for Empowering Users. From Plain to Polished in One Line of Code. 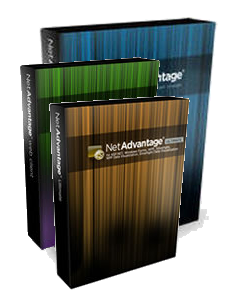 NetAdvantage® for .NET is our comprehensive suite of Windows Forms, WPF, ASP.NET and Silverlight controls, components, and tools for line of business applications on the .NET platform. If you're a power developer who uses more than one .NET platform at a time, and you don't need our data visualization controls* for high-end business intelligence solutions, then NetAdvantage for .NET is the best package for you. NetAdvantage for .NET has what you need to add awesome power and performance to your Windows Forms application, compelling user experiences leveraging Windows Presentation Foundation, rich ASP.NET AJAX controls to your Web site, and includes high performance Silverlight controls for line of business development. Volume releases throughout the year continually add valuable new features and controls, so you will always have the leading-edge tools on every .NET platform you need. Find out how having controls for all four .NET platforms help make your life easier and your users happier with our most powerful line of business UI toolset: NetAdvantage for .NET. * If you're a power developer who wants it ALL, including our data visualization controls for high-end business intelligence solutions, then our NetAdvantage Ultimate product is for you. Explore the Tools and Platforms included in NetAdvantage for .NET!